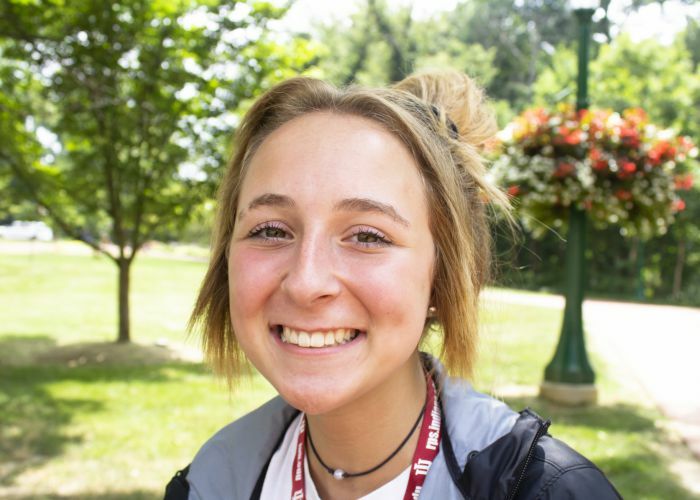 Ilene Marzke, a student from Hamilton South Eastern High School, has a passion for music and decided to make that into her goal and career. Ilene started learning how to play the guitar from her father at age 10. From an early age she was a performer. “I performed in restaurants, including my parent’s restaurants,” Marzke said. Ilene likes music because she is able to reach out to other people by bringing them different emotions. “I wanted to be able to make other people happy or even sad through my music,” Marzke said. Music is not just a hobby for Marzke, “I plan on majoring in the music field. A big goal I have as an artist is to release an album” she said. Ever since the age of three, Sophia Genovese has been involved in the popular extra-curricular of dance. Now a senior in high school, dance still has a major influence on Genovese’s life. Dance has given her the opportunity of self-expression and through the activity, she has gained other interests–her favorite being theater. 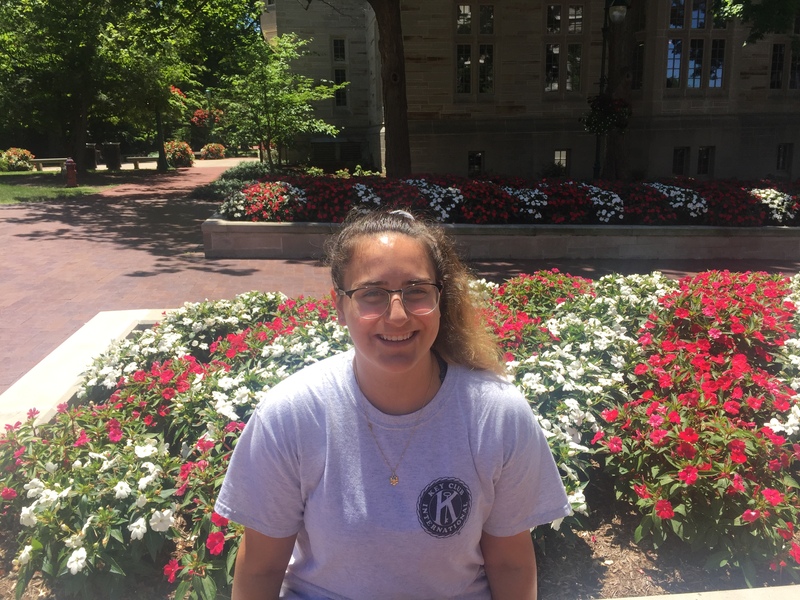 Making your mark on the world can be a challenge but Olivia Karaboja found her calling through community service. Karaboja’s parents came to the United States after the fall of the last communist European nation of Albania. With luck on their side, they were chosen to immigrate to the United States in hope to start a new life for their children. Karaboja started her education at a private school. With her desires to share and promote positive activities, she found that in such a small scale school, that it was harder to find her place. “I always wanted to be a part of my community and help others out,” Karaboja said. When it comes to free time, Becca Yagelski takes what she can get. “If I have downtime, I’m at my friend’s house doing just something like watching movies and trying not to focus on how hectic and crazy everything is,” Yagelski explained. 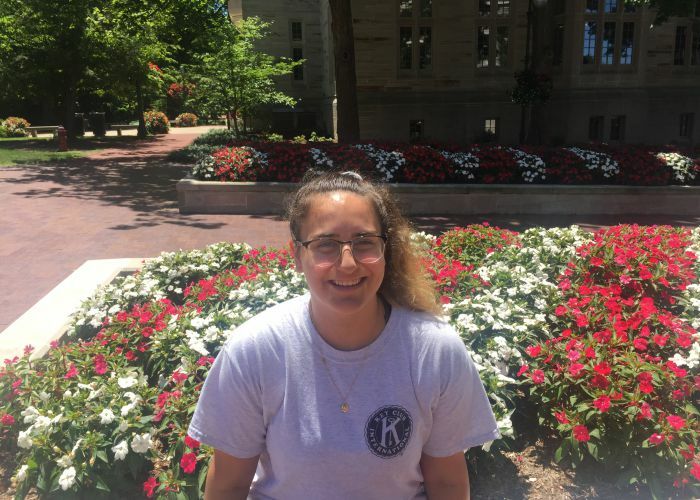 While Yagelski, a rising senior at Crown Point High School, may refer to her schedule as hectic, others would call it admirable. “If I don’t have something scheduled or planned, I’m going to want to just sit there and do nothing at all. It really keeps me going—makes my time pass by,” Yagelski said. 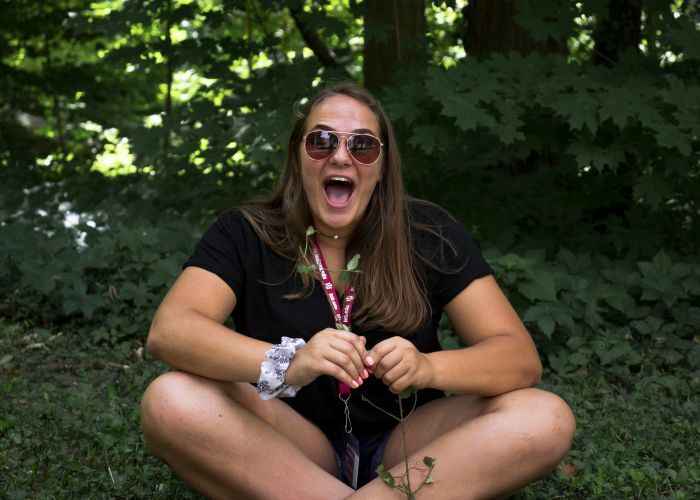 A natural leader, she is the president of her local Boy Scouts of America Venturing club, the local 4-H club, and is editor-in-chief of her school’s yearbook. Grace Kuhlman’s journey into yearbook territory. 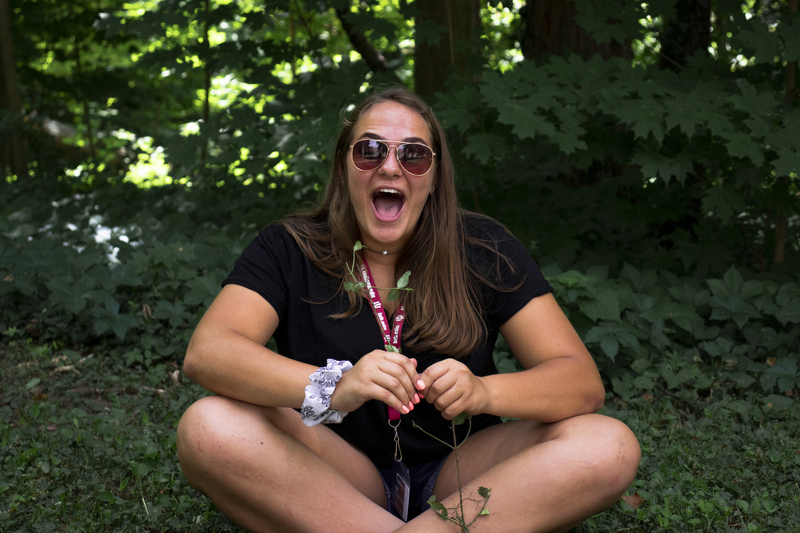 Toxic friendships, exhibiting another version of herself, and controlling effects of peer anxiety–a bundle of internal challenges summed up Grace Kuhlman’s sophomore year, leading up to her role in the yearbook at Crown Point High School. In Grace’s pre-yearbook, you would see her with dolled up look, including an extensive morning routine, just to fit in with her not-so friendly friends. Then came Grace’s journey with yearbook. 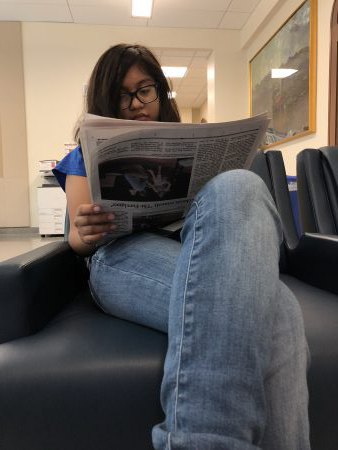 Sophomore Lorena Hernandez reads a newspaper in the commons of Franklin Hall July 17. 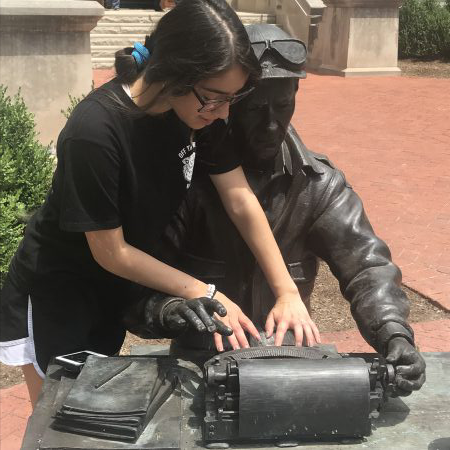 Looking around at all the journalists during the Opening Session at the High School Journalism Institute (HSJI), there are many students who have traveled a great distance or have returned from the previous year to learn and improve their journalistic abilities. Though all students who have decided to attend the institute share the common passion of journalism, there is a story behind what inspired them to be in that auditorium attentively listening to the director. Jack Lyles (11), builds a new boat by hand with his father. 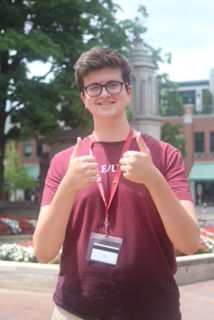 Jack Lyles (11), poses at Indiana University. “I feel really happy to be here working on journalism.” Lyles said. Lyles helped his dad build a boat last summer. After 11 months of hard work and $2,000, Jack Lyles (11) and his father, finished their project. Navy blue and stunning, the pontoon boat is done. 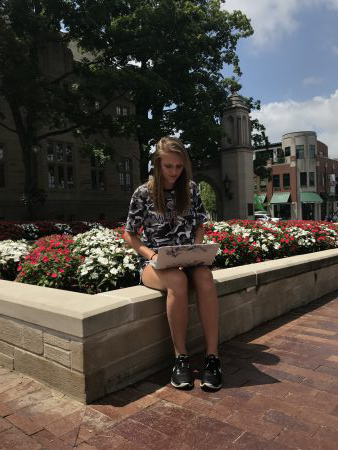 Senior Lily Wray writes on her laptop. She has been using writing as an emotional outlet since fourth grade. Wray plans on continuing her love for writing through journalism. People turn to different things for their emotional outlets- whether it be music, people, or writing. 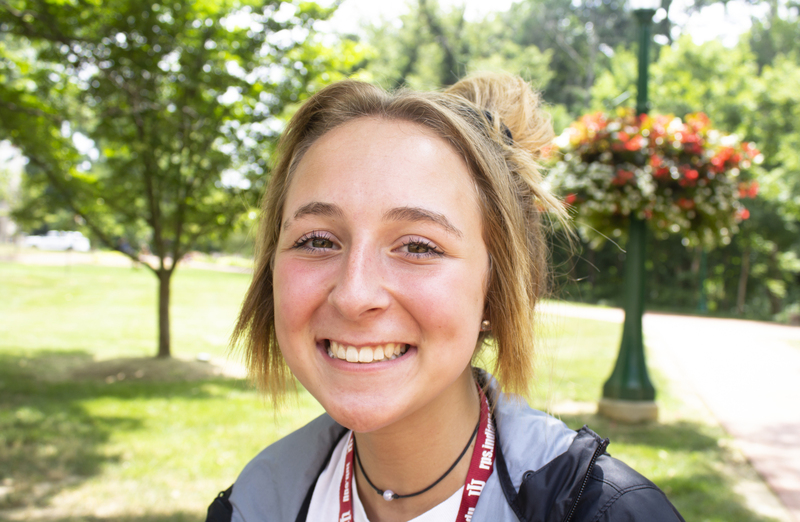 For senior Lily Wray, she had to discovered her emotional outlet of writing during an important and difficult time in her life. She was able to discover a way to not only help herself, but to help others that were undergoing the same feelings. This led Wray to discover herself and a passion for writing that she would carry with her for the rest of her life. 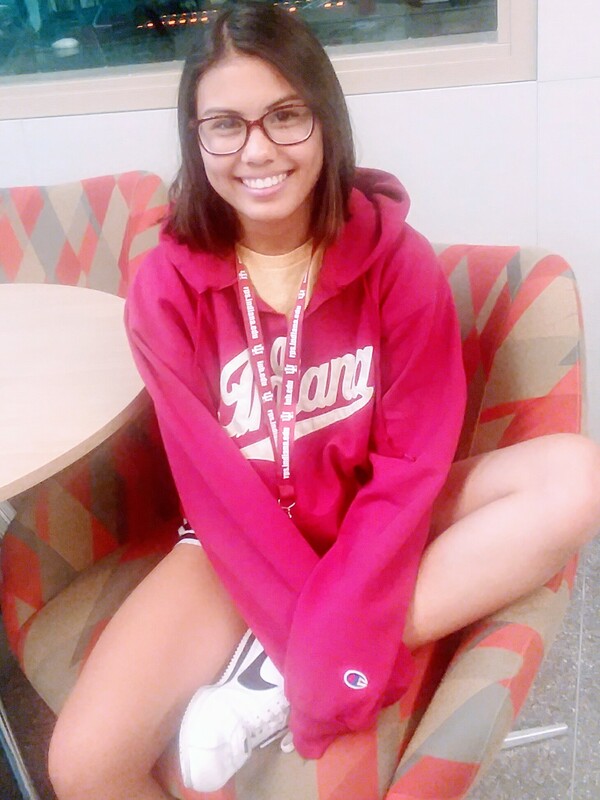 Jessi Alcorta-Robles fell in love with journalism in high school and wishes to pursue it as a career. Freshman year of high school is a huge time of self-discovery for everyone. All of the sudden, there are so many more choices for classes, electives, clubs, and sports. 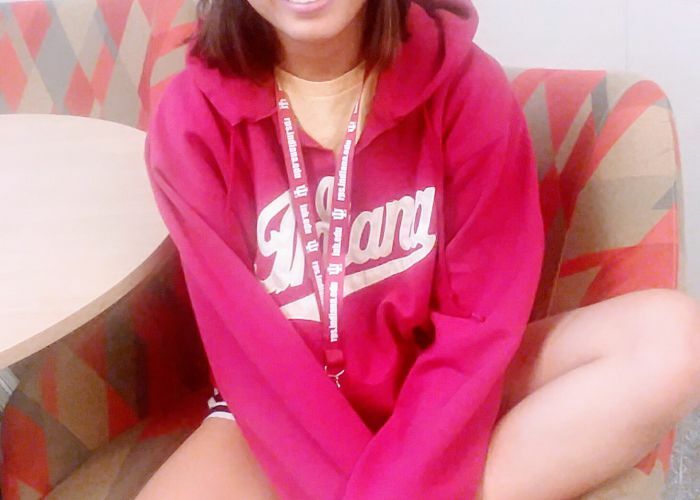 The choices you make freshman year usually impacts the rest of your high school career, but for Jessi Alcorta-Robles, it impacted her entire life.